remember that even though these insidious pests do not swarm during the winter season, they may still be feasting on your structure. In addition, if termites have already found a convenient path into your structure, remember that your heater is their heater; your wood is their wood. You house them, you keep them warm, and you feed them, but the only thanks will receive for your generosity will be in the form of termite pellets, lost termite wings, termite damage, and a weakened structure. Termites do not take seasonal time outs like some pests; they do not hibernate during the winter. 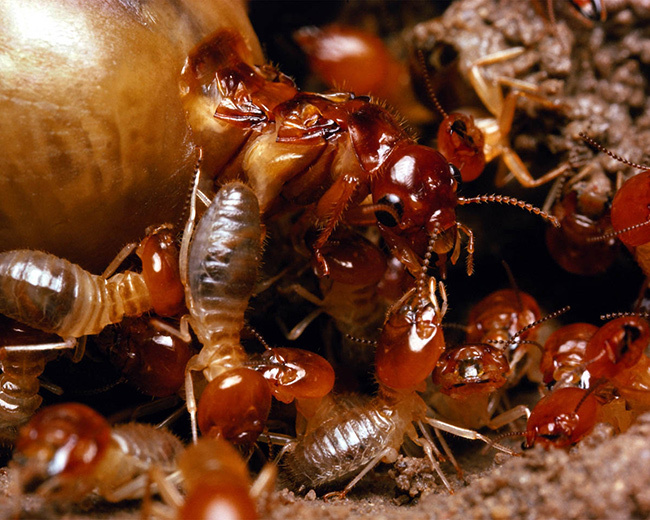 In colder climates, when the ground freezes, subterranean termites burrow deeper into the soil. Their activity slows, but they remain active. And in our dreamy climate, with many winter days that could pass for summer ones, you can rest assured that termites are industrious and well-fed. So why not schedule a termite inspection this month? Our licensed inspectors will be happy to work around your schedule, your children, your pets, and your projects. And if your home can be effectively treated with our advanced microwave method and Termidor treatments, you will not need to leave your house! Your kids can play video games, your pets can relax, and you can work from home, all while our technicians perform the treatment, protecting your home from termites.